Some of the most intensely active topics of discussion in recent days on English jihadist forums are discussion threads following the uprisings in Libya. 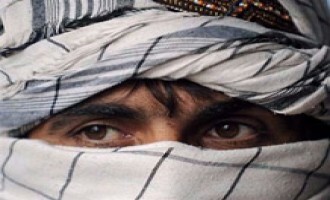 The Afghan Taliban remarked on the March 3rd meeting in Jeddah, Saudi Arabia, of the International Contact Group (ICG) on Afghanistan, and noted the participants agreeing to seek an end to the Afghan war through a political rather than military approach. 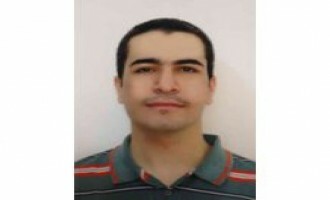 A message attributed to a jihadist who allegedly escaped from Wadi El Natrun prison, north of Cairo, Egypt, was posted on jihadist forums on February 28, 2011. The Moqatel Network, a distributor and producer of Urdu-language jihadist propaganda, released a video revealing the identities of four militants killed in drone strikes in Waziristan. 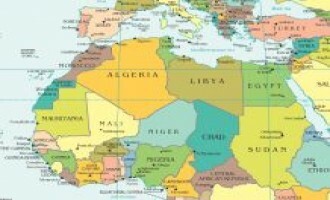 Jihadists discussed the possibility of al-Qaeda in the Islamic Maghreb (AQIM) entering the revolution in Libya against Libyan leader Muammar Gaddafi, and explored what US-NATO military intervention in the country may afford al-Qaeda in terms of a new jihadist front. 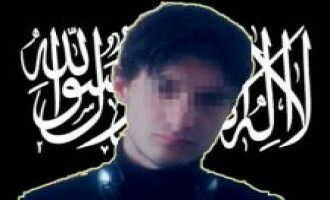 Members of English and French-language jihadist forums reacted triumphantly to news that Arid Uka, a 21- year old Muslim from Kosovo, attacked an American military bus carrying soldiers on their way to Afghanistan on March 2, 2011. 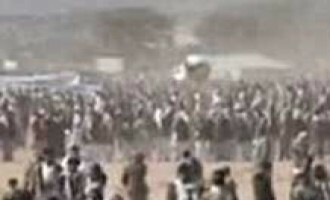 The Shabaab al-Mujahideen Movement reported its execution of two men, one an accused spy and the other a criminal, before a crowd of spectators in the Somali capital Mogadishu in a communiqué issued on jihadist forums on March 8, 2011. 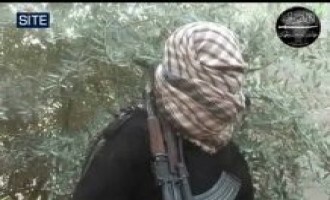 “Asad al-Jihad 2,” a prominent member of the jihadist internet community, gave recommendations to Libyan protestors and Muslims in North Africa in general in a lengthy message posted on the Shumukh al-Islam forum on February 27, 2011. 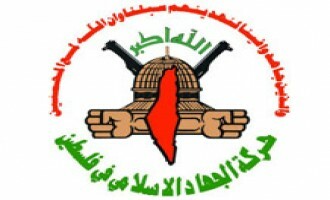 Tawhid and Jihad Group in Jerusalem, a militant faction in Gaza, remarked on the arrest of its leader, Abu Walid al-Maqdisi, in a statement issued on jihadist forums on March 5, 2011. 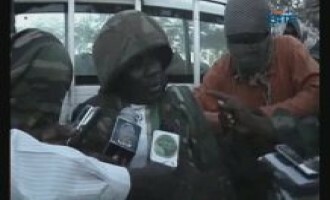 The Global Islamic Media Front (GIMF) distributed a video showing a Burundian soldier captured by the Shabaab al-Mujahideen Movement. 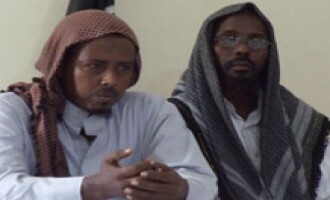 The Shabaab al-Mujahideen Movement reported that tribal leaders throughout Somalia convened in Mogadishu to pledge their support and participation in jihad. 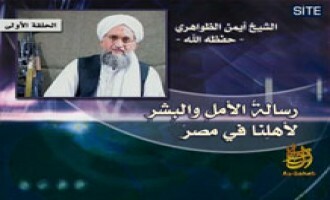 Ayman al-Zawahiri continued his incitement of Egyptians against the United States in the fourth audio speech in his series titled “A Message of Hope and Glad Tidings to Our People in Egypt,” and criticized the American concept of democracy as a system that benefits its interests and those of Israel. The Tahaddi Islamic Network released on its forum and other jihadist forums an account of a protest by Saudi women outside the Saudi Interior Ministry and what these women allegedly experienced after their arrest. The posting includes a 3 minute 50 second video of the protest. A message attributed to al-Qaeda and Tehrik-e-Taliban Punjab claiming responsibility for the assassination of Pakistani Minorities Minister Shahbaz Bhatti was posted on jihadist forums on March 3, 2011. 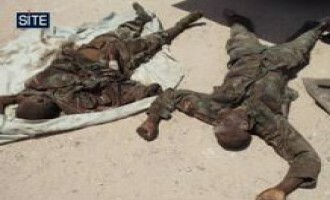 Mukhtar Abu al-Zubeir, the leader of the Shabaab al-Mujahideen Movement, challenged Burundi to withdraw its forces from Somalia or face defeat in an audio message broadcast through Somali stations on March 2, 2011. 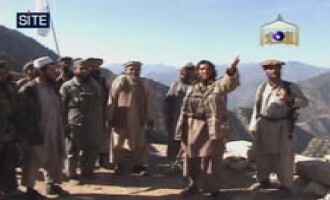 The Afghan Taliban remarked on Pentagon officials announcing the withdrawal of US forces from outposts in the Pech Valley of Kunar province in Afghanistan, and argued that the enemy has realized it can longer maintain a presence in that region. 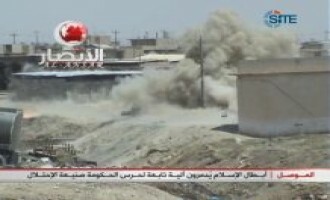 Al-Yaqeen Media Center, a jihadist media group, reported that a jihadist forum member carried out a suicide bombing in Iraq under the banner of the al-Qaeda-affiliated Islamic State of Iraq (ISI). 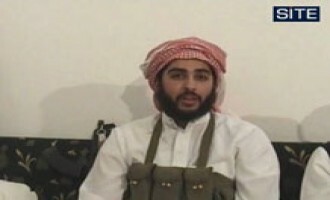 The al-Qaeda-affiliated Islamic State of Iraq (ISI) claimed suicide bombings in al-Anbar and Salahuddin provinces of Iraq and denied reports that its “War Minister,” al-Nasser Lideen Illah Abu Suleiman, was killed. 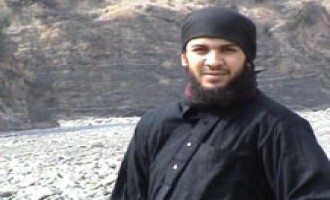 The Global Islamic Media Front (GIMF) released on behalf of Umar Studio, the video of Faisal Shahzad’s speech recorded prior to his attempting to detonate an explosives-laden vehicle in Times Square of New York on May 1, 2010. 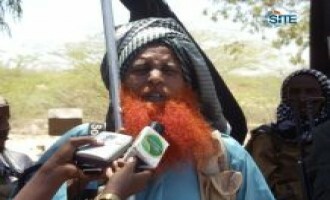 The Shabaab al-Mujahideen Movement announced that its official spokesman, Ali Mahmoud Raji, held a press conference in which he threatened the Kenyan government against encroaching in Somali affairs. 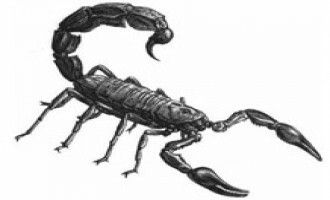 Motivated by al-Qaeda leader Ayman al-Zawahiri’s call for innovative ideas for attacks, a jihadist suggested that an individual release scorpions onboard an aircraft to sow fear and panic. 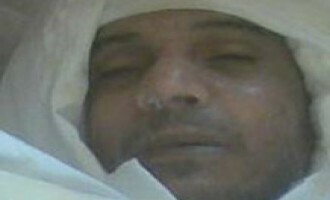 Ayman al-Zawahiri incited Egyptians and Tunisians against the United States in the third audio message in his series titled “A Message of Hope and Glad Tidings to Our People in Egypt,” charging that it stood behind Zine El Abidine Ben Ali and Hosni Mubarak and only supported ouster when the leaders no longer proved beneficial to their interests. Ayman al-Zawahiri, the second in command of al-Qaeda, released a third audio message in his series titled “A Message of Hope and Glad Tidings to our People in Egypt. Al-Qaeda in the Arabian Peninsula (AQAP) released an audio speech from former Guantanamo detainee Ibrahim al-Rubeish, inciting Muslims in the Arab world to revolt against their leaders and to establish Shariah-based governments. 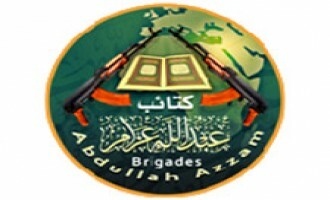 The Brigades of Abdullah Azzam incited Saudis to oust the Saudi regime and threatened attacks against the Kingdom in a statement issued on jihadist forums on February 23, 2011. 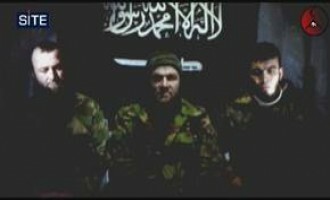 The Islamic Movement of Uzbekistan (IMU) released an English-language version of its video titled “Glad Tidings from Pakistan, Part 1”, on jihadist forums on February 25, 2011. 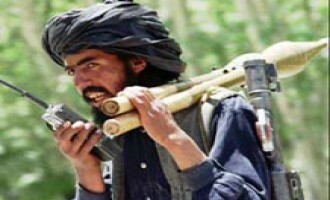 A jihadist warned against the use of mobile phones and used an incident that happened to a fighter’s family in the area of Dera Ismail Khan, a city in Khyber-Pakhtunkhwa province of Pakistan, to highlight their potential danger. 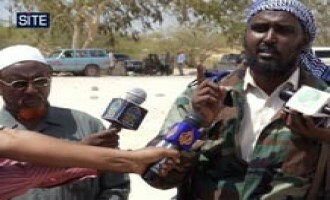 A jihadist reported that a fellow member of the Shumukh al-Islam forum was killed in a clash with African Union (AU) and Somali forces in the Somali capital Mogadishu. 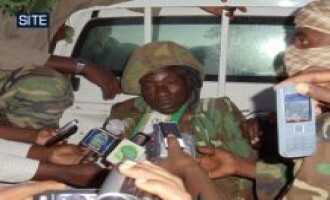 The Shabaab al-Mujahideen Movement reported its capturing a Burundi soldier following clashes in the Somali capital Mogadishu in a communiqué issued on jihadist forums on February 24, 2011, and showed pictures of the soldier and the clashes’ aftermath. Ayman al-Zawahiri, the second in command of al-Qaeda, released a second audio message in his series titled “A Message of Hope and Glad Tidings to our People in Egypt. 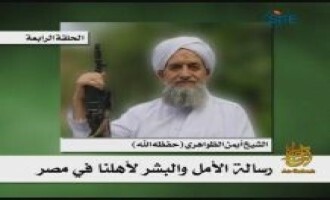 Al-Qaeda ideologue Attiya Allah remarked on the revolutions in Egypt and Tunisia and incited against the West, claiming that Western countries demand the permanence of the “tyrannical” regimes in the Middle East and North Africa to protect their interests. 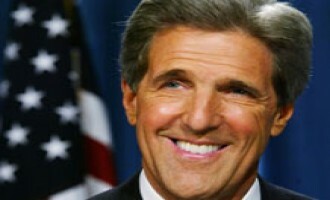 The Afghan Taliban issued a statement in which they agree with an editorial authored by United States Senators, James P. McGovern (D-MA) and Walter B. Jones (R-NC) that the war in Afghanistan should be brought to an end. 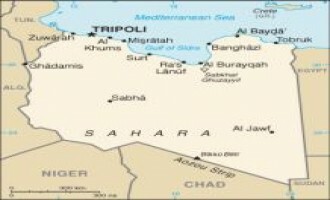 Al-Qaeda in the Islamic Maghreb (AQIM) expressed solidarity with Libyan protestors and condemned Libyan leader Muammar Gaddafi for his actions against his people in a statement issued on jihadist forums on February 23, 2011. An article analyzing the Saudi Interior Ministry’s release of a wanted list of 47 individuals suspected of al-Qaeda-links was published in the 16th issue of al-Qaeda in the Arabian Peninsula (AQAP)’s Arabic-language e-magazine, “Echo of the Epics” (Sada al-Malahem). 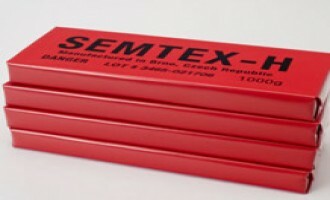 A jihadist urged Libyans to acquire Semtex, a plastic explosive containing RDX and PETN, and to use it in their protests against Libyan leader Muammar Gaddafi in a message posted on the Shumukh al-Islam forum on February 23, 2011. 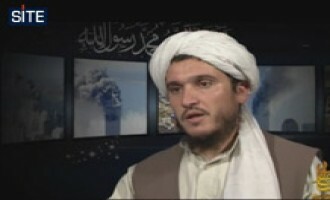 A writer for one of the Afghan Taliban’s Pashto-language e-magazines, Shahamat, interviewed Afghan Taliban spokesman Zabihullah on the current political and military situation in Afghanistan. 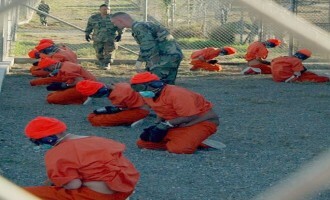 An alleged former prisoner in a Libyan prison gave his account of his experience and the prisoners he met, including Ibn al-Sheikh al-Libi, in a message posted on the Shumukh al-Islam forum on February 22, 2011. 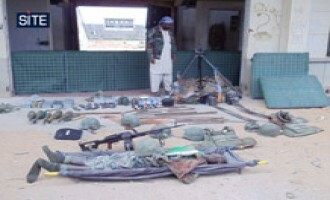 The Shabaab al-Mujahideen Movement issued a communiqué containing 21 photographs showing various items it took as spoils from a clash with African Union (AU) forces in the Somali capital Mogadishu, and also showing the dead body of a Ugandan soldier. 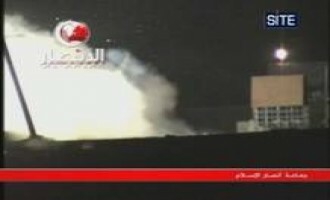 The Islamic Jihad Movement in Palestine (PIJ), a Palestinian militant faction, released a statement condemning Libyan leader Muammar Gaddafi’s actions in ordering warplanes to bomb protestors in Tripoli. 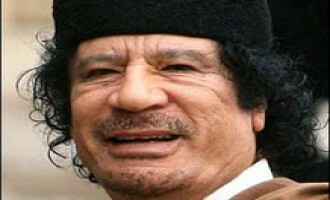 Arguing that peaceful demonstrations will not work to oust Libyan leader Muammar Gaddafi, a jihadist recommended that Libyan protestors turn to suicide bombings to force his removal. 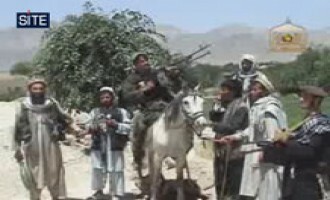 The Afghan Taliban condemned US-led NATO forces for allegedly inflicting casualties amongst civilians in various areas of Ghaziabad district in Kunar province. The Shabaab al-Mujahideen Movement claimed a suicide bombing on Somali military barracks in the capital Mogadishu in a communiqué issued on jihadist forums on February 22, 2011. 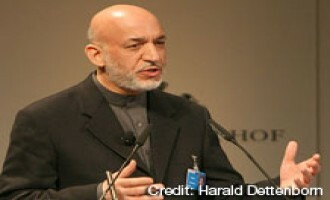 The Afghan Taliban claimed killing 30 militia elements in a suicide bombing in Kunduz province of Afghanistan in a communiqué posted on its website and jihadist forums on February 21, 2011. 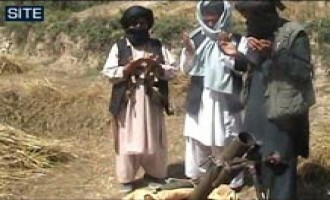 Al-Qaeda’s media arm, as-Sahab, released a video showing multiple mortar and rocket strikes on an American base in Wardak province of Afghanistan, and focusing on the fighters giving supplications that ask for success. 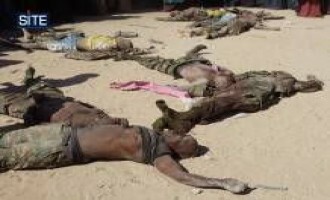 The Shabaab al-Mujahideen Movement reported its clashing with African Union (AU) forces and distributing aid packages in Banaadir region of Somalia, and cutting off the hand of thief in Lower Shabelle region in three communiqués issued on jihadist forums on February 21, 2011. 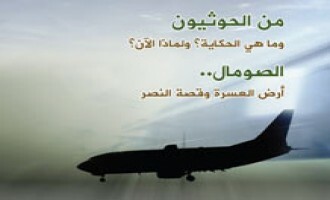 An article analyzing US diplomatic cables obtained and released by WikiLeaks, and focusing on those cables pertaining to Saudi Arabia and Yemen, was published in the 16th issue of al-Qaeda in the Arabian Peninsula’s Arabic-language e-magazine, “Echo of the Epics” (Sada al-Malahem). The Islamic State of Iraq (ISI), the al-Qaeda-front in Iraq, claimed bombings that targeted Shi’ites in the cities of al-Dujail and Samarra in Salahuddin province, including a suicide bombing on Shi’ite pilgrims in the al-Qala neighborhood. Ayman al-Zawahiri, the second in command of al-Qaeda, gave a lecture about the Egyptian government in terms of its separation from Islam and its subservience to the West in a speech released on jihadist forums on February 18, 2011. An article advising that fighters’ wives give unconditional support to their husbands and also incite for jihad was published in the 16th issue of al-Qaeda in the Arabian Peninsula’s Arabic-language e-magazine, “Echo of the Epics” (Sada al-Malahem). 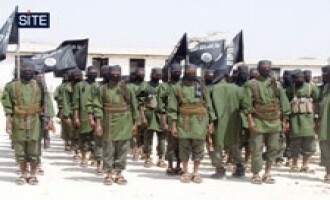 The Shabaab al-Mujahideen Movement announced that it graduated a large number of commanders for one of its military units in Lower Shabelle region of Somalia. 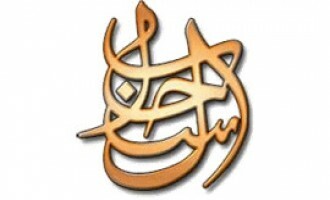 A video showing an interview with a now-deceased official in al-Qaeda in Saudi Arabia (AQSA), focusing on jihad as a duty incumbent upon Muslims, was posted by a jihadist on the Shumukh al-Islam forum on February 13, 2011. 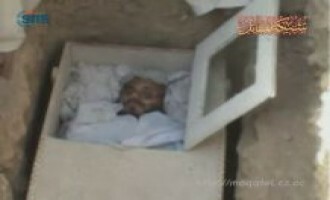 The Afghan Taliban gave a eulogy for a second deceased scholar, Inayat Allah, in a message posted on its website in Pashto on February 15 and in Arabic on February 16, 2011. 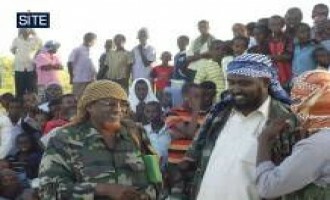 The Shabaab al-Mujahideen Movement announced the appointment of Sheikh Muhammad Hassan Omar Abu Abdul Rahman as the new governor of Banaadir region in Somalia in a communiqué issued on jihadist forums on February 16, 2011. 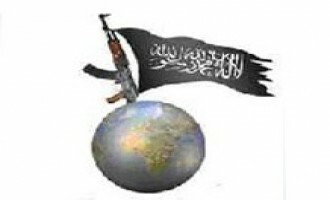 Al-Qaeda in the Arabian Peninsula (AQAP) published a report of its military operations its fighters carried out between November 3, 2010, and January 8, 2011, in the 16th issue of its Arabic-language e-magazine, “Echo of the Epics” (Sada al-Malahem). 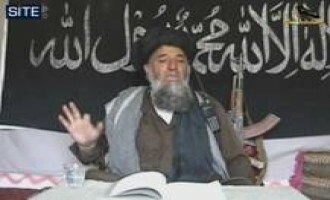 The Afghan Taliban gave a eulogy for a deceased scholar, Maulvi Musa Jan, and extended condolences to his family in a message posted on its website in Pashto on February 11 and in Arabic on February 13, 2011. 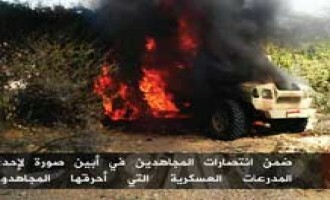 An article examining reactions to the attacks on Houthis in al-Jawf and Sa’ada provinces of Yemen and what the attacks demonstrate in terms of al-Qaeda supporting Sunnis, was published in the 16th issue of al-Qaeda in the Arabian Peninsula’s Arabic-language e-magazine, “Echo of the Epics” (Sada al-Malahem). Al-Masada Media Foundation published a message on behalf of a jihadist writer inciting for a popular uprising in Syria and explaining how the Syrian regime created conditions to prevent such uprisings from forming. 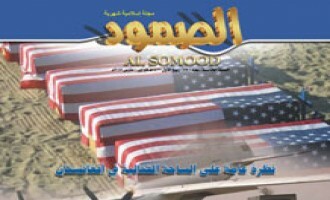 Al-Qaeda in the Arabian Peninsula (AQAP) released the 16th issue of its Arabic-language e-magazine "Echo of the Epics" (Sada al-Malahem) on jihadist forums on February 15, 2011. 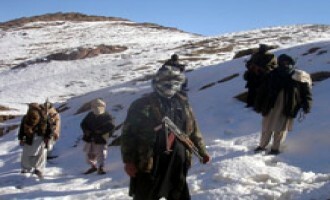 The Afghan Taliban claimed large-scale attacks between February 12 and February 14 in Kabul and Kandahar provinces of Afghanistan, and reportedly killed and injured more than 100 enemy soldiers in Kandahar alone. 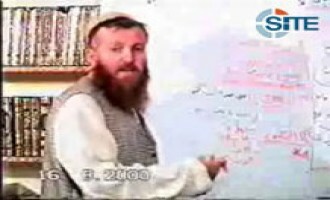 Yassin Chouka described the travels he and his brother Mounir took before reaching Afghanistan and joining the Islamic Movement of Uzbekistan (IMU), and also noted their meeting radical Yemeni-American cleric Anwar al-Awlaki, in a German-language message posted on the Shumukh al-Islam forum on February 12, 2010. 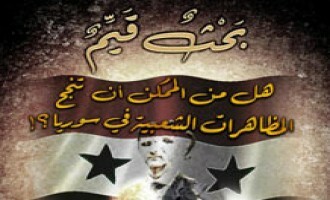 A jihadist writer addressed Muslims in the Levant, particularly those in Syria, in a message issued on jihadist forums on February 6, 2011, and urged that they own a weapon and use it to support jihad. Anwar al-Awlaki, a radical Yemeni-American cleric in Yemen, spoke in a new audio speech released on February 13, 2011, urging support for reporters who “expose” the alleged criminality of America. 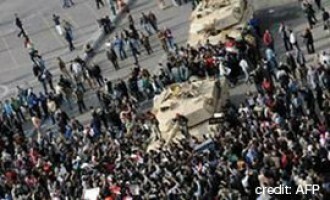 The Afghan Taliban remarked on the popular uprising in Egypt that led to President Hosni Mubarak stepping down, and warned the United States that a similar uprising may happen in Afghanistan. Masada al-Mujahideen, a Palestinian militant group, congratulated Egyptian protestors for ousting President Hosni Mubarak from power, and urged that they now work to lift the border restrictions between Egypt and Gaza. A jihadist posted a message attributed to a fighter in Afghanistan, presenting a biography for a slain commander, Azzam al-Makki. 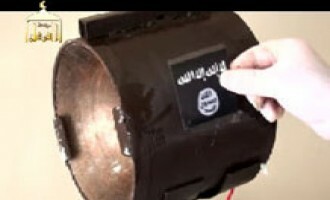 Using footage from an Islamic State of Iraq (ISI) video focusing on the manufacture and use of explosive devices, a jihadist gave a video manual for constructing an armor-piercing device. 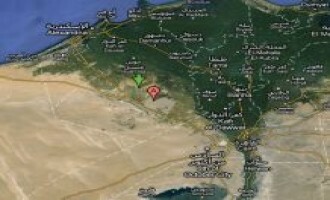 A message attributed to three Tunisian prison escapees who fled to Algeria in hopes of joining al-Qaeda in the Islamic Maghreb (AQIM) was posted on jihadist forums on February 9, 2011. 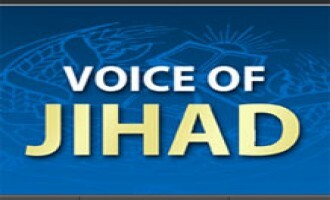 An audio message attributed to a Saudi woman calling for support for Muslim women from Muslims in Saudi Arabia and al-Qaeda in the Arabian Peninsula (AQAP), was distributed across jihadist forums on February 7, 2011. 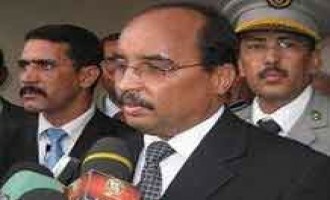 Al-Qaeda in the Islamic Maghreb (AQIM) claiming responsibility for the assassination attempt on Mauritanian President Mohamed Ould Abdul Aziz in a communiqué issued on jihadist forums on February 9, 2011. 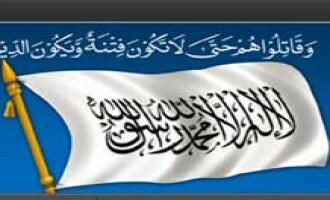 The Media Center of the Afghan Taliban released the 57th issue of its monthly Arabic-language e-magazine, “al-Samoud,” on its website and jihadist forums on February 6, 2011. Referring to a video from the Islamic State of Iraq (ISI) focusing on the manufacture and use of explosive devices, a jihadist suggested two methods to make the explosives more powerful. 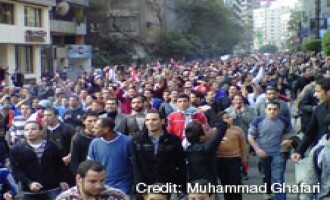 The Islamic State of Iraq (ISI), the al-Qaeda-front in Iraq, addressed the uprising people of Egypt in a statement issued on jihadist forums on February 8, 2011, and urged they commit to jihad and the establishment of a Shariah-based government. 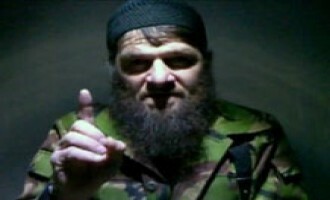 Doku Umarov, the leader of the Islamic Emirate of the Caucasus (IEC), claimed his group’s responsibility for the suicide bombing at the Domodedovo International Airport in Moscow, Russia on January 24, 2011. Al-Qaeda in the Islamic Maghreb (AQIM) released an audio speech from a member of its Shariah Committee, Abu Hayyan ‘Assim, in which he lectured on the evils committed by leaders in the region and urged regime change through jihad. 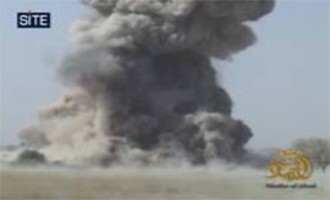 The Afghan Taliban claimed killing 14 amongst American soldiers and translators in a suicide bombing in Kandahar province of Afghanistan. Al-Qaeda’s media arm, as-Sahab, released a posthumous audio from one of its “mujahid scholars” Maulana Abdul Samad, lecturing on Muslims needing to sacrifice material gains in order to achieve good standing in the hereafter. 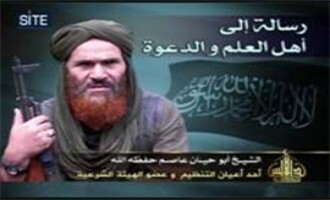 The Tahaddi Islamic Network released a video containing a biography of a slain al-Qaeda in the Islamic Maghreb (AQIM) fighter identified as Adel Jawadi. Kavkaz Center released a video of Islamic Emirate of the Caucasus (IEC) leader Doku Umarov visiting the group’s “Martyr Brigade” base and threatening Russia with attacks. 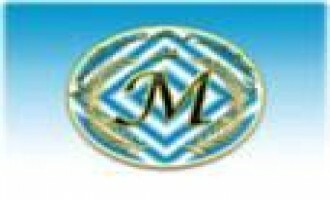 A message attributed to an Egyptian woman in Alexandria, informing readers about events in Egypt and various acts of criminality exercised by the Egyptian government, was distributed across several jihadist forums on February 3, 2011. Badr al-Tawhid, the media arm of the Islamic Jihad Union (IJU), released an Uzbek-language video focusing on the life and death of slain IJU leader Najmuddin Jalolov (AKA Ebu Yahya Muhammad Fatih). The Al-Maqreze Center published a message it said it received via e-mail from Tharwat Salah Shehata, a leader of the Egyptian Islamic Jihad organization, addressed to Egyptian protestors. A prominent online jihadist urged protestors to procure weapons and establish a group to be affiliated with al-Qaeda, arguing that only through such actions will their uprising be fruitful. 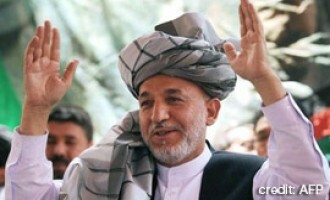 The Afghan Taliban criticized Afghan President Hamid Karzai for what they found to be his defense of US forces’ cutting down trees in Ghazni province, in a statement posted on its website in Pashto on February 1, 2011, and English on February 2. 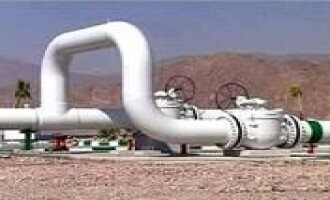 Jihadists suggested that Muslims in Sinai take advantage of Egyptian unrest and strike the Arish-Ashkelon gas pipeline, arguing that it would have a major impact on Israel. 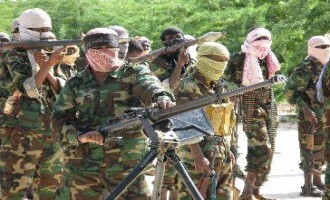 The Shabaab al-Mujahideen Movement claimed attacks on Burundi and Somali forces in Bondere, Shanqani and Waberi districts of the Somali capital Mogadishu in two communiqués issued on jihadist forums on January 29, 2011. 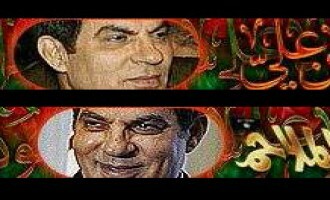 Hani al-Sibai, a jihadist ideologue, issued through the website of al-Maqreze Center for Historical Studies and jihadist forums, a series of messages directed to Egyptians engaged in the uprisings against President Hosni Mubarak. 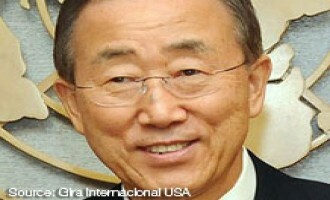 The 25th issue of “In Fight,” an English-language magazine documenting the military activity of the Afghan Taliban and developments in the war in Afghanistan, was posted on the English-language division of the Ansar al-Mujahideen jihadist forum on January 31, 2010. Al-Qaeda in the Arabian Peninsula (AQAP) released a video focusing on its capture of Ali Muhammad Salah al-Hussam, the Deputy Director of Political Security in Sa’ada province of Yemen.